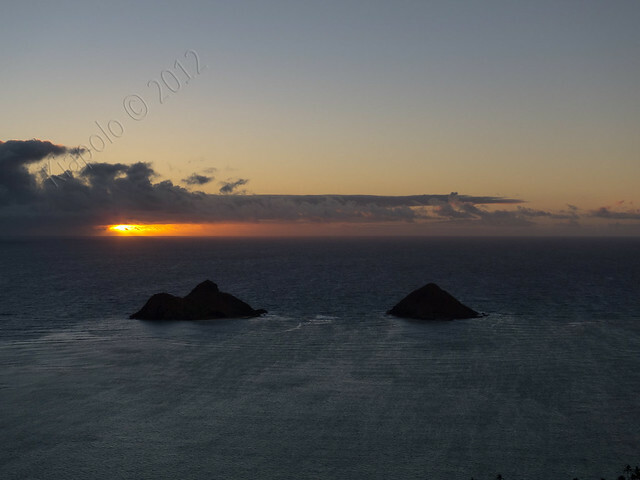 Couldn't sleep Friday night (just found out the day before the Sommer and I were expecting triplets!). 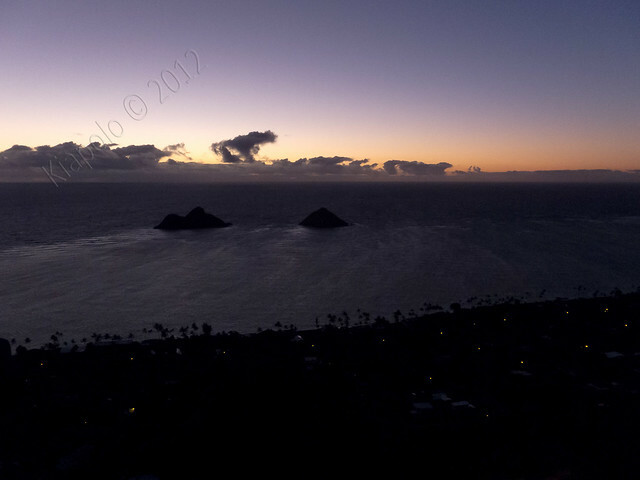 At around 3:30 am Saturday morning I decided I wasn't getting any sleep so I might as well go watch the sunrise. 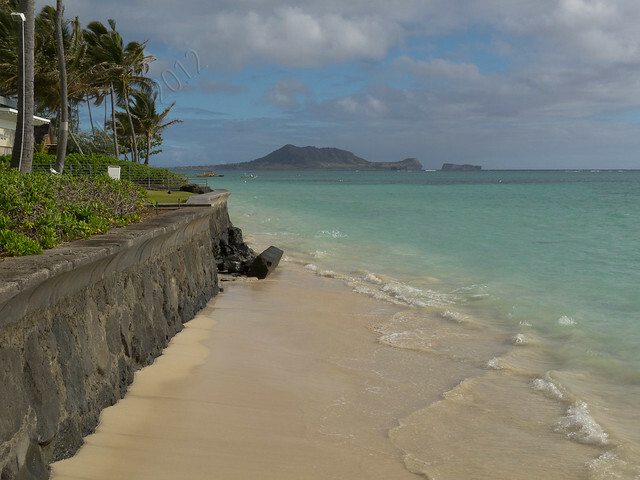 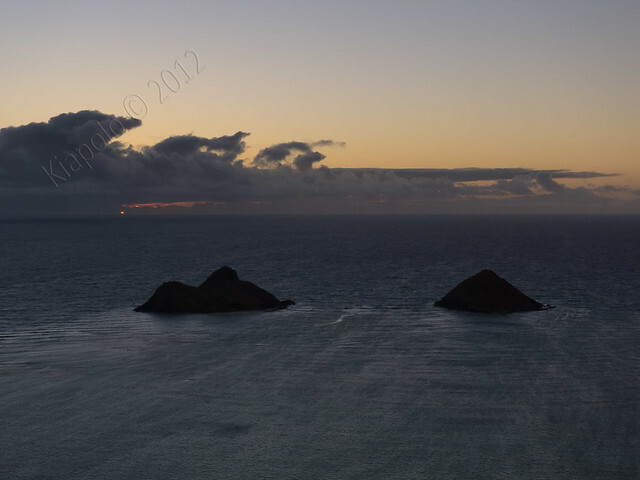 Hopped in the car and headed out to Lanikai and the Ka`iwa Ridge Bunkers. 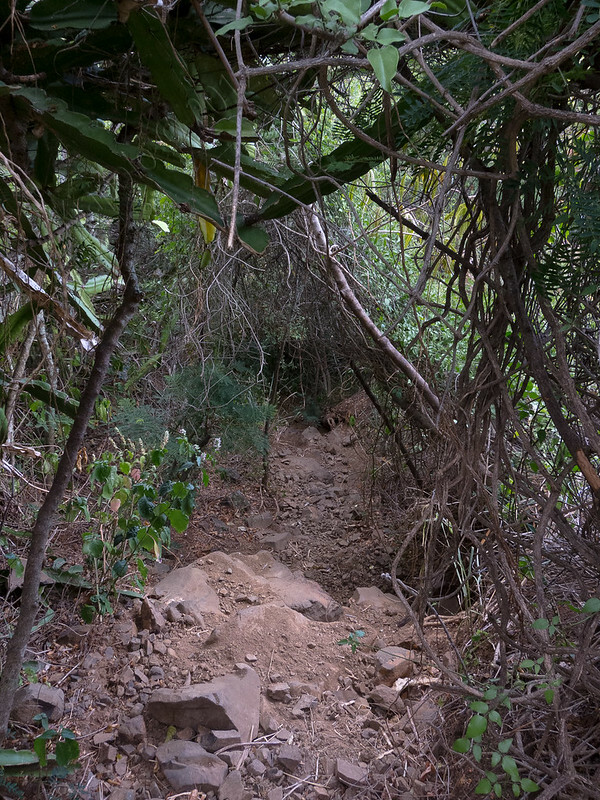 When I got to the first bunker it was still pitch black but the first bunker was packed with pre-dawn hikers. 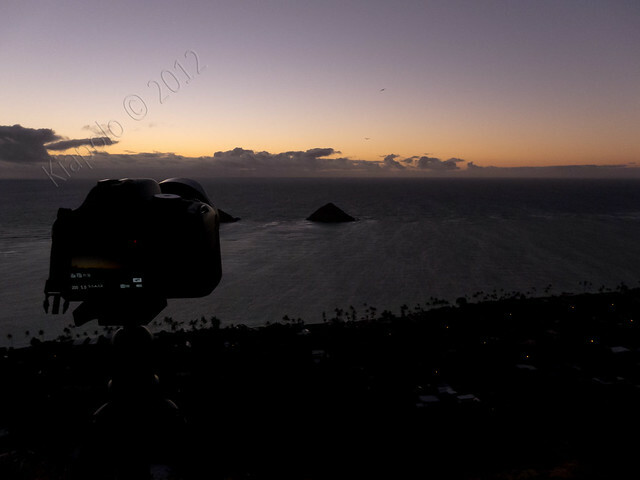 I made my was to the less crowded second bunker and set up shop to film and watch the sunrise. 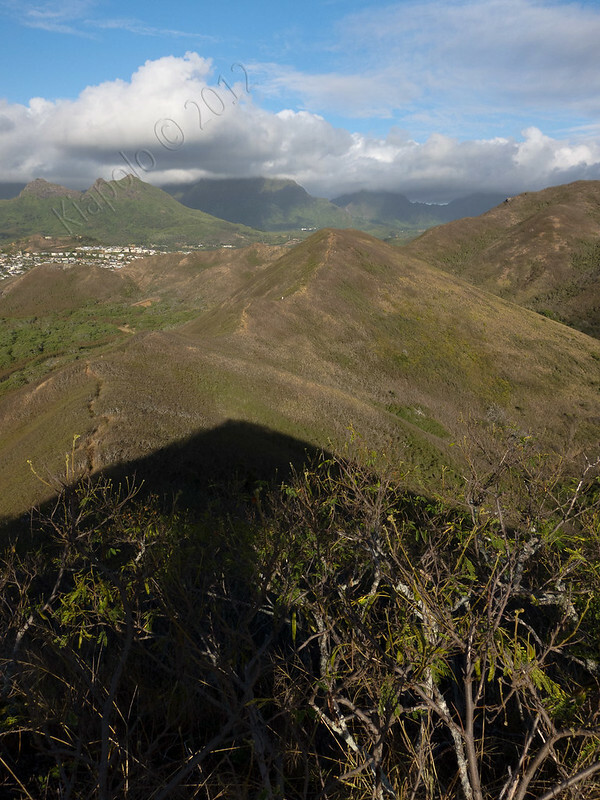 I had forgot to charge the batteries on my DSLR (because I wasn't really planning on hiking this morning) and my back up battery was dead (forgot to charge that battery, too). 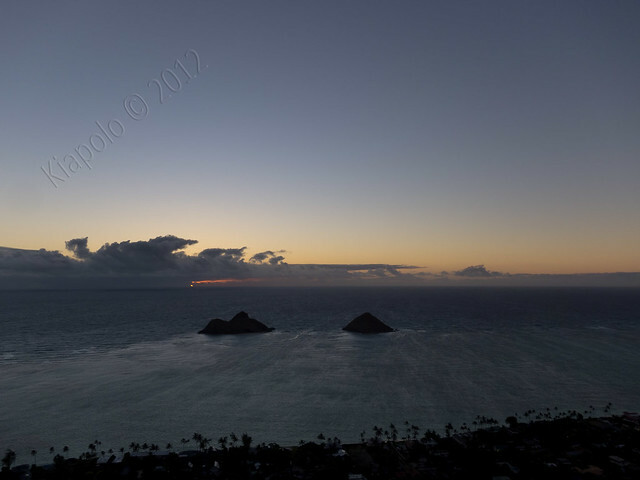 The battery in the DSLR died just after the sun peaked over the clouds on the horizon. 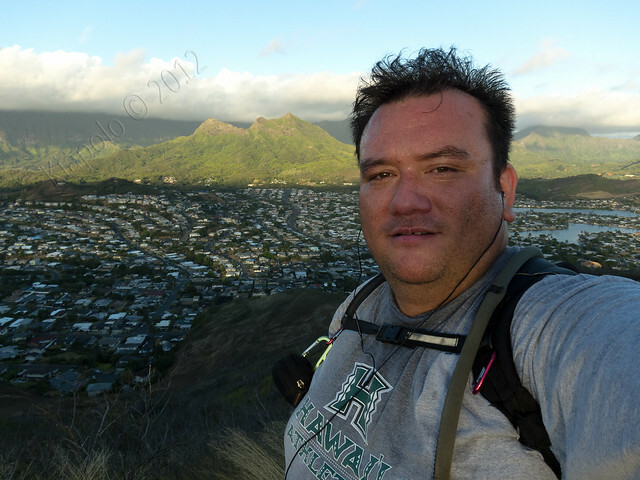 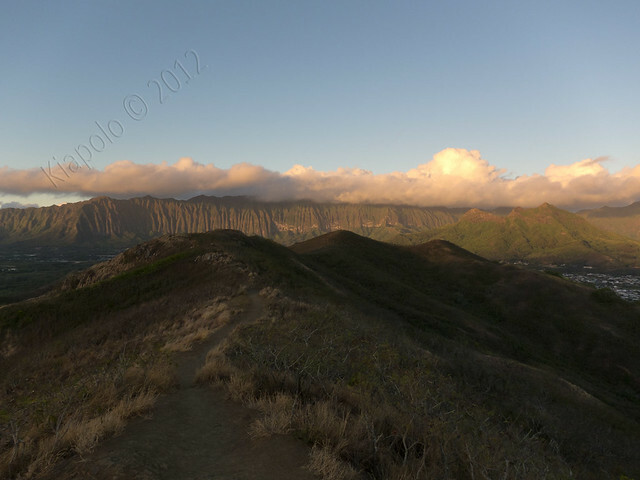 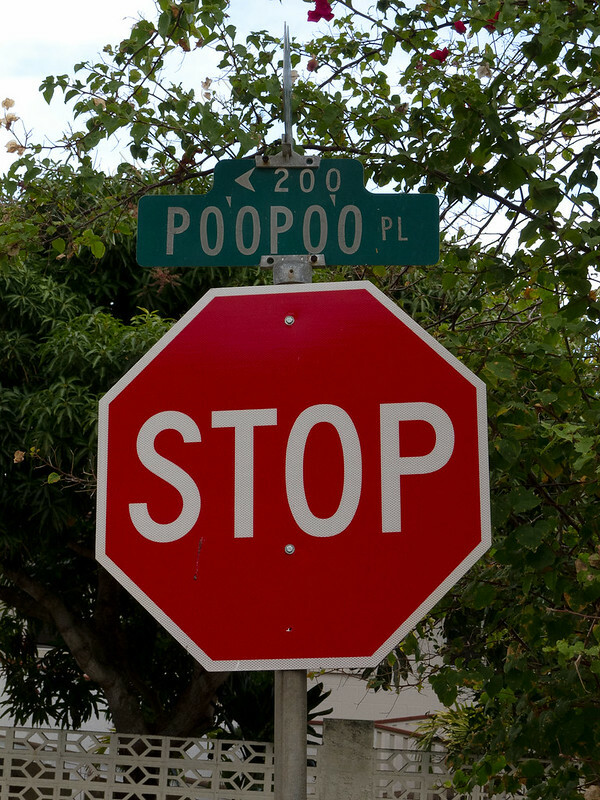 I decided to head up Ka`iwa Ridge and do the Lanikai Loop. 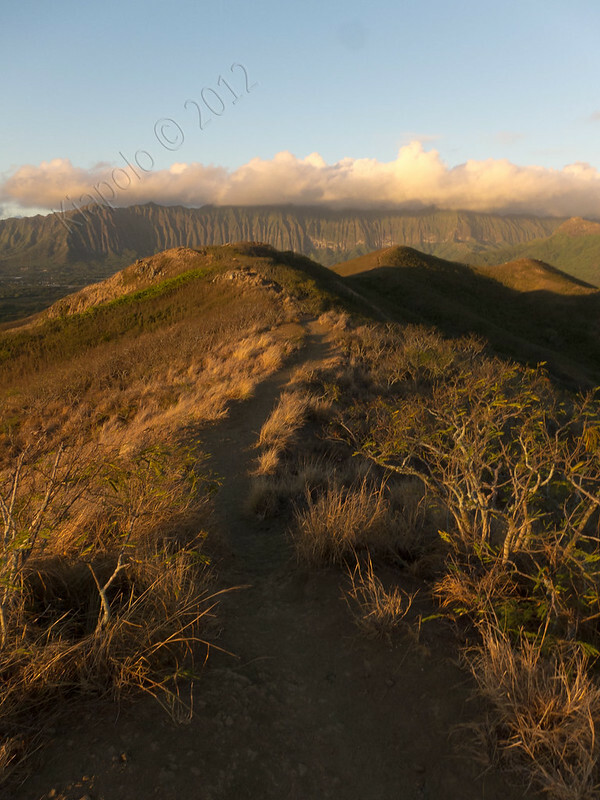 The rising sun created dramatic lighting on the Ko`olau. 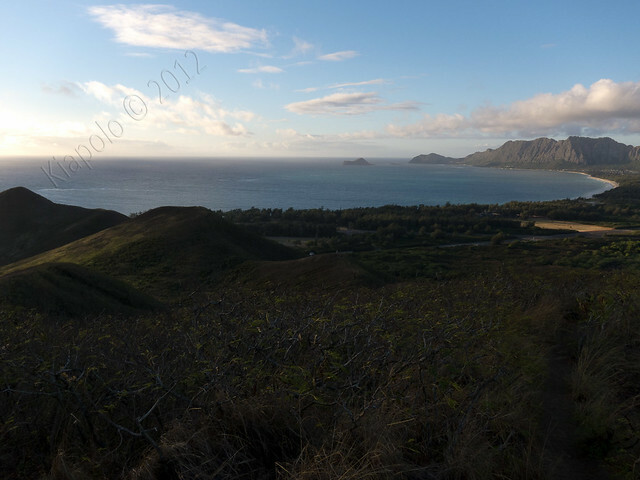 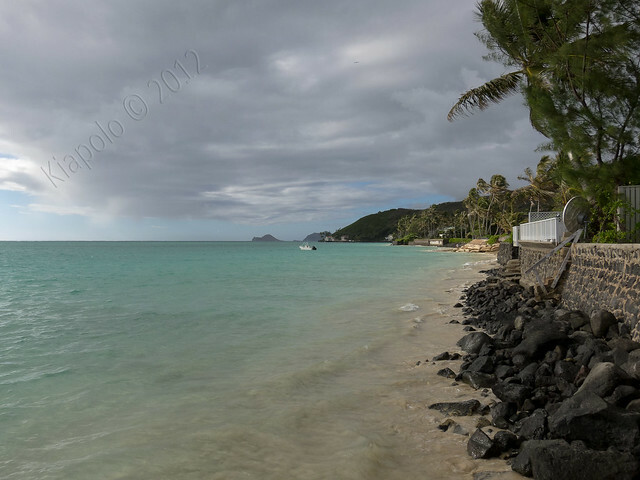 I turned left at one of the forks in the trail and turned back towards Bellows and the end of Lanikai. 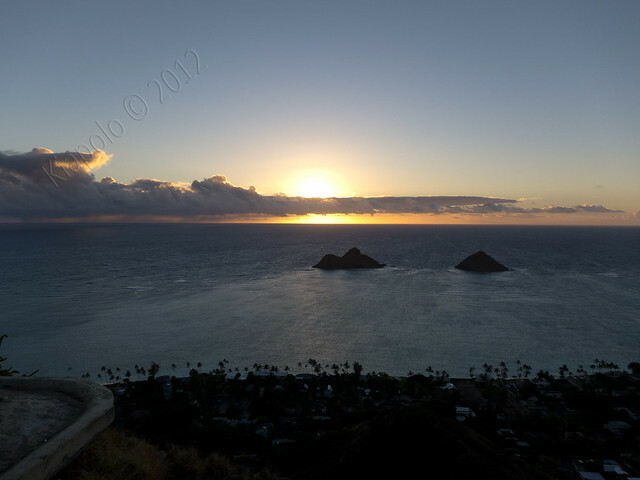 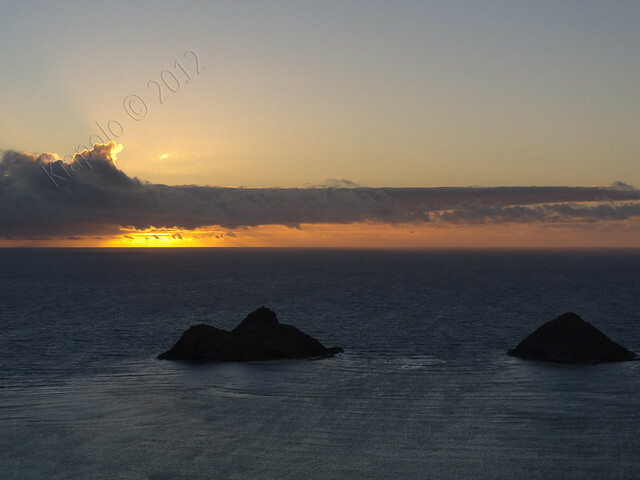 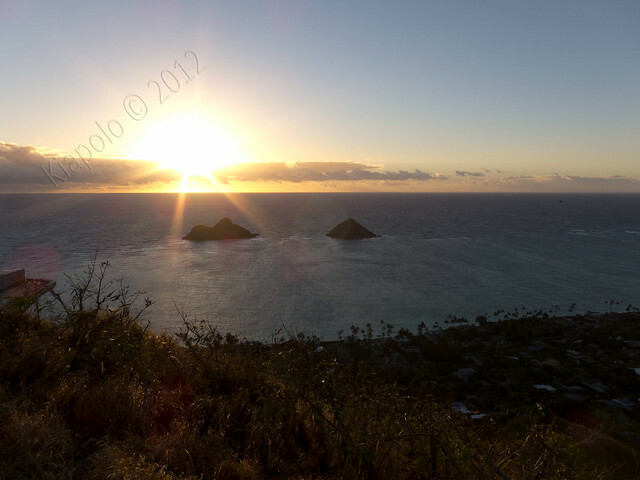 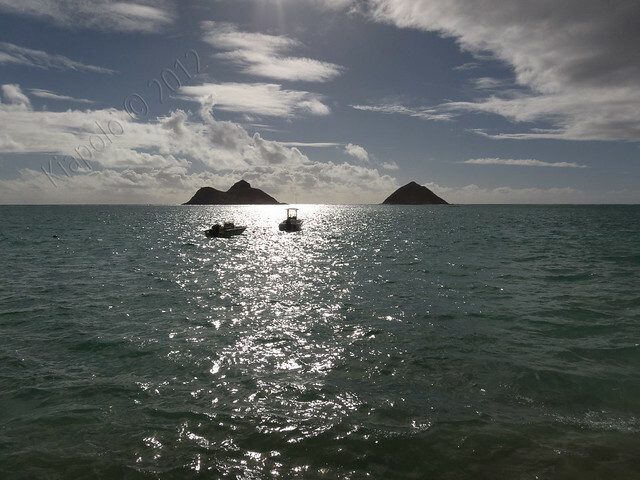 I dropped down from Ka`iwa Ridge to Po`opo`o Place at the end of Lanikai. 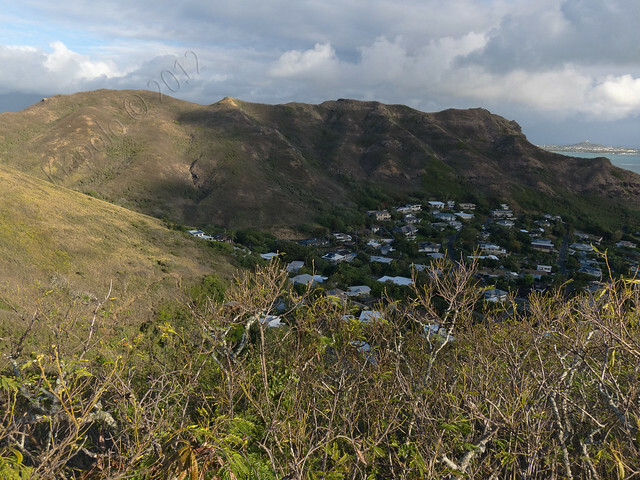 From Po`opo`o Place it's a simple walk along Mokolua Drive back to the start of the Lanikai Pillbox/Ka`iwa Ridge trail head.